Trees are one of nature's greatest gifts. They clean our air and our water. They give wildlife homes. They help fight climate change by absorbing massive amounts of carbon dioxide. Yet, every single day an area of forest equal to the size of Atlanta is chopped down. Our planet can't withstand this level of destruction. We need to send a message to decisionmakers, businesses and elected officials: forests need to be protected. 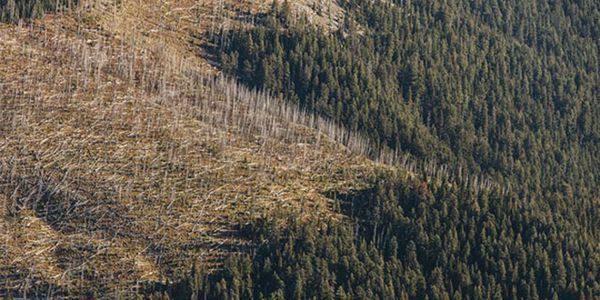 It's time to take a stand and call for a stop to rampant deforestation in the United States and across the globe. Show that you stand with The Nature Conservancy in our commitment to protecting our world's forests. Together, we have the power to make sure that producing the fuel, the food and the resources we need doesn't come at the unnecessary expense of the forests we all need to survive. Sign the pledge and stand with us to protect our vital forests. Science shows us we cannot afford rampant deforestation--trees are too vital to our planet's health, beauty and ability to sustain us. We can't let 32 million acres of forests be destroyed every year. It's time to put policies and practices in place to save our forests. I'm adding my voice to The Nature Conservancy's call for urgent action and conservation solutions to stop deforestation.